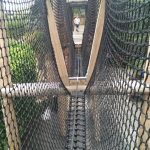 AMAZU – Home of the AMAZU Treetop Adventure. Located on the old Bird and Monkey Gardens, you can now walk and interact with real life Monkeys as you scale through the heights of AMAZU. Other animals can also be seen, with the huge Capybara close by and various other birds also close by. 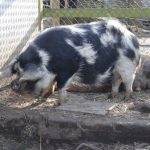 Children’s Zoo – The children have a great farm area to visit, with the Children’s Zoo located behind Mexicana and proves to be very popular with the little ones. Once inside you have free roaming goats and chickens where you can get up close and be introduced by the staff, fantastic experience. 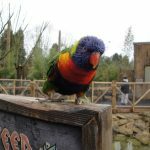 Lorikeet Lagoon – Located away from the main zoo in Wild Asia this remains one of the highlights for the zoo tour. Walk in and walk on through the Lorikeet Lagoon, getting closer than ever to these beautiful birds with the option to feed and have them settle down with you for the snack! Watch your head! 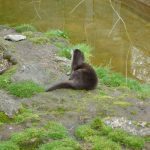 Otters – The animals that don’t have their own area is the Otters, with the Otters the first animal you will see when you enter the park (South) just inside in their own enclosure. 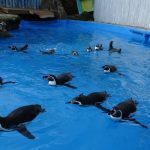 Penguin Bay – The ever popular Penguins have been located at Chessington Zoo for many years and 2015 sees the year of the Penguins at Chessington. With an all new Penguin enclosure get closer than ever with this new experience. Be sure to check out the Penguin Presentation daily at the park. 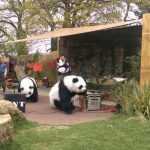 Pandamonium – In a UK first the show features life-size and life-like animatronic pandas, giving families a one of a kind experience and the chance to see what it would be like to get up close to these exotic endangered animals. 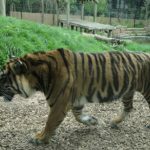 Sealife: Chessington – With Merlin having the large collection of Sealife Centres in the UK, Chessington was the first of the parks to get the added bonus. 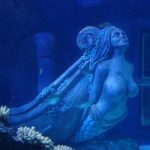 Take a walk through a collection of some rare fish exhibits, and of course the Sealife wouldn’t be complete without the under water tunnel walk. Sea Lion Bay – The very popular Sea Lion bay is home to the cheeky group of Californian Sea Lions. 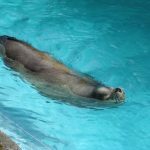 in addition to being just wonderful to watch, you can also catch the Sealion shows through out the day and see what these amazing animals can do! The parks Reindeer’s are also located here. Trail of the Kings – Perhaps the most popular area of the park always comes down to the big cats. With Lions, Leopards and Tigers all found along this impressive walk. In addition Chessington is home to the biggest collection of Western Lowland Gorillas in Europe, get close and sit and marvel at them. 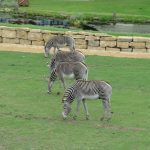 Wanyama Village and Reserve – Take in an experience of Africa as you enter the village, with animals including the Meerkats, Ostrich and Zebras all available for you to view. Take the walk to the peak and get a good view of the village from the tops of the fields. On a good day you may also see the Giraffes of ZUFARI roaming the fields, the four of them can often be seen out in the distance mixing with the other African animals.